Pyare Lal Madan Lal was established in the year 1972. We are leading Retailer & Wholesaler of Godrej Locks, High Speed Steel Drill Bits, Steel Files, HSS Tool Bit, Epoxy Resin Hardener, Nachi Bandsaw Blade, HSS Drill Bits, Godrej Safe, etc. We have earned a reputation as trusted traders having the most transparent and ethical business operations. We have grossed the goodwill of our huge clientele and created a position for ourselves in the market through our constant efforts. We believe in selfless client service and always give precedence to the needs of our clients. The products supplied by us are procured from reliable vendors and are always appreciated due to their accurate dimension, sturdy construction, anti-corrosive nature and flawless operation. 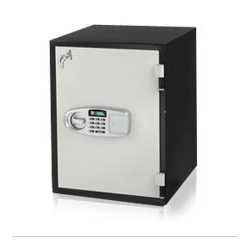 We are also engaged in offering total locking solutions to cater to the specific needs of the client. We have a well developed client base all across India which is duly catered to by our proficient team. Apart from it, we mostly provide our exclusive range in the states of Uttar Pradesh and Uttaranchal.